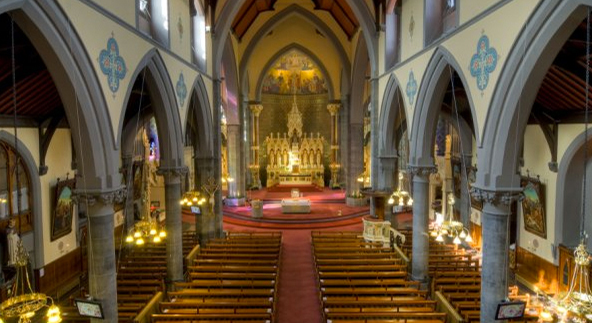 The architect for Mount St. Alphonsus Church was an Englishman called Thomas Hardwick who also designed St. John’s Cathedral, Limerick. The style is early 13th century gothic. Having operated out of a temporary church structure since 1854 the foundation stone for the new church was laid by Bishop Ryan on the 22nd May, 1858. His successor, Bishop Butler, dedicated the completed church in December, 1862. The cost was £17,000.. The church is 173ft (53m) in length, 70ft (21m) in width, 70ft (21m) in height from floor to ceiling. The Bell Tower and Spire is 187ft (57m) tall. 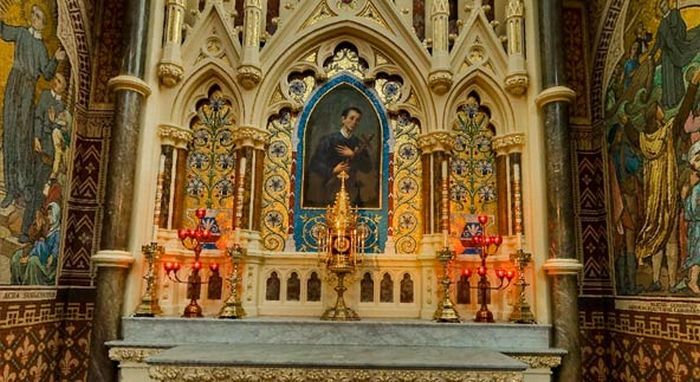 In the Church of Mount St. Alphonsus there are many beautiful objects of devotion such as the way of the cross, statues, shrines, mosaics, stained-glass windows, candelabras, and an organ of great quality. 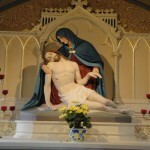 They serve no other purpose than to remind us of how much God loves us and to pint in the direction of his son, Jesus. They lift our minds and hearts in prayerful thanksgiving and praise. The church speaks too of the extraordinary generosity of many donors, rich and poor alike. During your time here remember to say a prayer for those who created this place of worship, and whose sweat and sacrifice made it possible. The wall are filled with the prayers and the faith of all those who have worshipped here over the last 150 years. If these walls could talk what stories they would tell! May you find rest and welcome here and when you leave this place, may you do so with peace and hope in your heart. 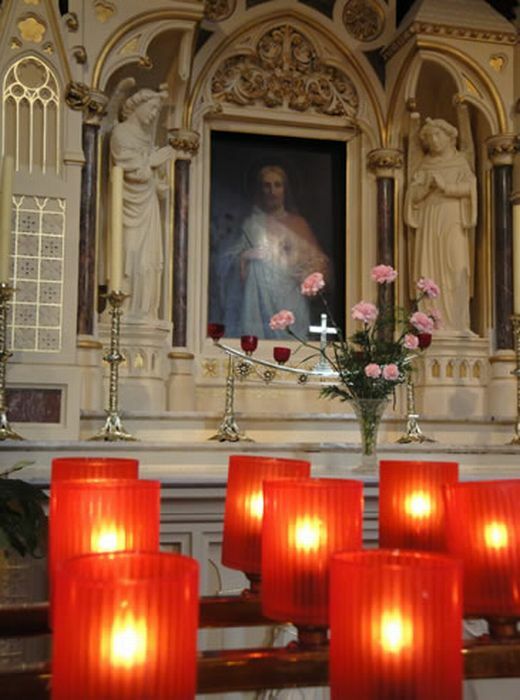 The shrine of Our Lady of Perpetual Help is the spiritual heart of Limerick. 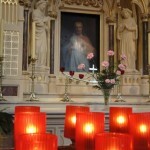 People have come here to pray since the Icon was placed in the Church in 1867. 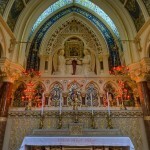 The shrine was built in 1869 and is a gift from the people of Limerick to Our Lady of Perpetual Help. 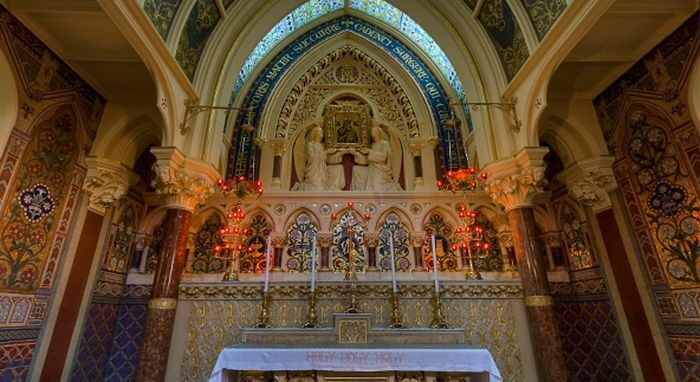 View our virtual tour of the Shrine of Our Mother of Perpetual Help. St Gerard Majella is the patron saint of mother’s and young children. People have been coming to this shrine to pray since it was built in 1903. People pray here for all their needs but it is a tradition in limerick for women to visit the shrine when they are pregnant and then to come back with their newborn babies. 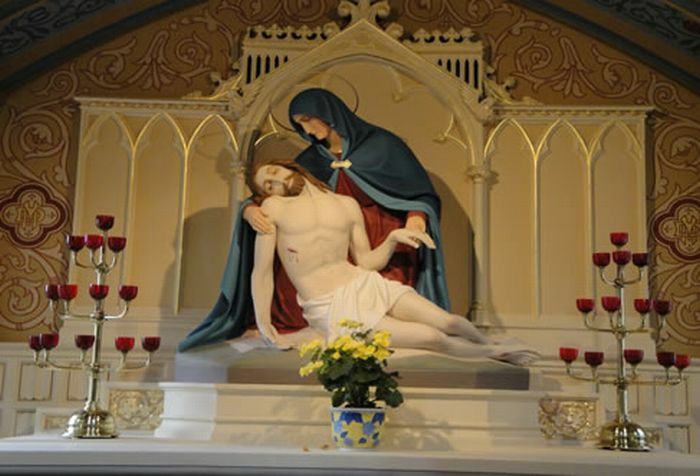 People also come here to pray for the grace to make a good confession. 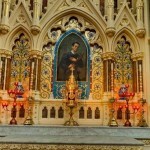 View our virtual tour of the Shrine of St. Gerard.